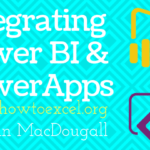 These shortcuts are mostly for copying and pasting objects in the worksheet such as cells, ranges, tables and pivot tables. We can use paste special on other objects like charts and shapes, but the options available in this menu are different. Copy the active cell or selected range to the clipboard. Copy and paste the cell directly above into the active cell (fill down). Copy and paste the cell directly to the left into the active cell (fill right). Paste the last item from your clipboard. Cut the active cell or selected range. Skip blanks when pasting from your clipboard. Add values to the paste range from the range in your clipboard. 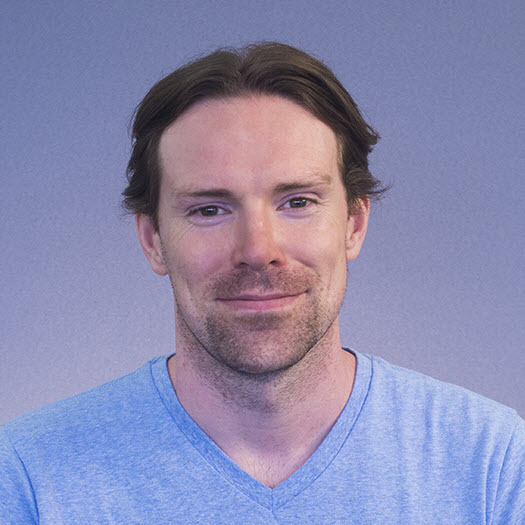 Transpose when pasting from your clipboard. Paste all using the source theme. Divide the paste range by values from the range in your clipboard. Multiply paste range by values from the range in your clipboard. Only paste formula and number formatting. Subtract values to the paste range from the range in your clipboard. Only paste values and number formatting. Paste all except any borders. These shortcuts are for entering and editing data and formula while in a worksheet or during editing when your cursor is active in the formula bar. Add numbers in a formula. Subtract numbers in a formula. Multiply numbers in a formula. Divide numbers in a formula. Raise a number to the power of another number (2^3 = 8). Deletes one character to the left of the cursor. Deletes one character to the right of the cursor. Moves the cursor one line down if the cell contents contains multiple lines. Accepts any formula edits made and moves the active cell down by default. The default can be changed to up, left, right or no movement. Discards any formula edits made. Edit the contents of the active cell. Opens the Paste Name dialog box while editing a formula. Cycles between absolute and relative cell references. Moves the cursor one character left. Moves the cursor one character right. Complete the formula or data entry and move the active cell one cell to the right. Moves the cursor one line up if the cell contents contains multiple lines. Enters a line break while editing a cell. Enters the value from the cell directly above while in edit mode. Opens the Function Arguments window after typing function name. Move view back to the active cell when editing a formula and keep the formula intact. Deletes all characters to the right of the cursor. Complete the formula or data entry and remain on the current cell. Moves the cursor to the left by one word while in edit mode. Moves the cursor to the right by one word while in edit mode. 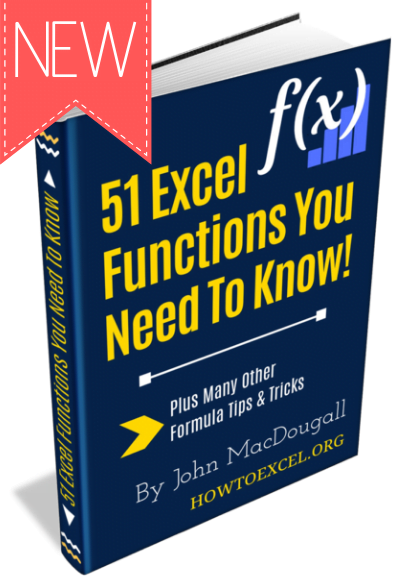 Opens the Insert Function dialog box while in the worksheet or in the formula bar and not inside a function. Opens the Function Arguments dialog box while editing a function. Complete the formula or data entry and move the active cell one cell to the left. Enters the current date at the cursor position while in edit mode. Enters the current time at the cursor position while in edit mode. Inserts argument name placeholders for a function (after typing out a valid function name). Expand or collapse the formula bar. Enter a formula as an array formula. Selects one word to the left of the cursor. Selects one word to the right of the cursor. 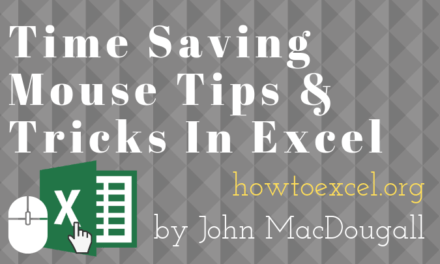 These shortcuts are for interacting with the Excel window to close, move and resize it. Closes the active window or workbook. 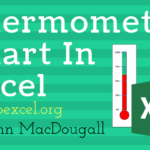 Switch to the next open Excel workbook. Move the active workbook with the arrow keys when the window is not maximized. Resize the active workbook window with the arrow keys when the window is not maximized. Minimizes the active workbook window. Restore or maximize the active workbook window. 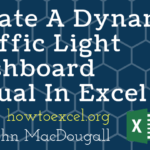 Switch to the previous open Excel workbook. 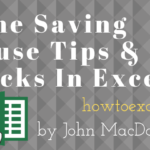 These shortcuts are for using Excel’s Find and Replace more efficiently. Use * in searches as a wildcard for any number of characters. Use ? in searches as a wildcard for exactly one character. ~? will search for ? Close the Find and Replace dialog box. Find the next item when the Find and Replace dialog box is active. Find the previous item when the Find and Replace dialog box is active. Toggle focus between the Find and Replace dialog box and the worksheet. Open the Find and Replace dialog box to the Find tab. Open the Find and Replace dialog box to the Replace tab. Repeats the last Find Next action performed. Repeats the last Find Previous action performed. Proper formatting can make all the difference when it comes to how readable a workbook is. These shortcuts will make adding common format types quick and effortless! Toggle on and off the bottom border while in the Format Cells dialog box on the borders tab. Toggle on and off the downward diagonal border while in the Format Cells dialog box on the borders tab. Toggle on and off the horizontal interior border while in the Format Cells dialog box on the borders tab. Toggle on and off the left border while in the Format Cells dialog box on the borders tab. Toggle on and off the right border while in the Format Cells dialog box on the borders tab. Toggle on and off the top border while in the Format Cells dialog box on the borders tab. Toggle on and off the upwards diagonal border while in the Format Cells dialog box on the borders tab. Toggle on and off the vertical interior border while in the Format Cells dialog box on the borders tab. Open the Format Cells dialog box. Apply or remove the bold format to a cell or range of cells. Apply or remove the italic format to a cell or range of cells. Apply or remove the underline format to a cell or range of cells. Apply or remove the strikethrough format to a cell or range of cells. Apply the thousands comma with two decimal places number format to a cell or range of cells. Apply the date format to a cell or range of cells. Apply the currency format to a cell or range of cells. Apply the percent format to a cell or range of cells. Apply outside boarders to a cell or range of cells. Apply the time format to a cell or range of cells. Remove all borders from a cell or range of cells. Apply the general format to a cell or range of cells. Open the Format Cells dialog box with the Font tab active. These shortcuts are essential to know if you’re trying to trace down an error in your formula or trying to understand a formula that’s been written by someone else. Selects cells that are directly precedent to the active cell. Selects cells that are directly dependent on the active cell. Selects cells that are directly or indirectly precedent to the active cell. Selects cells that are directly or indirectly dependent on the active cell. Here is a collection of various shortcuts involving the function keys found at the very top of your keyboard. Open the Excel help menu. Repeats the last action performed. Display the shortcut key tips for the ribbon (same as pressing Alt). Create a chart sheet based on the currently selected range or table. Open the Save As menu. Opens the Save As command. Refreshes the active pivot table or query. Opens the Macro dialog box. Show or hide the selection task pane. 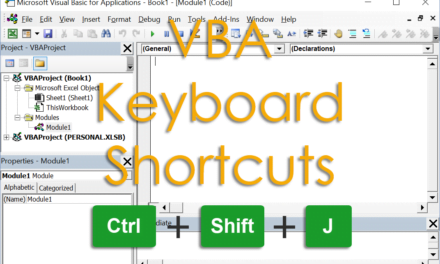 Open the visual basic for application code editor. Toggle the ribbon on or off. Opens the Name Manager dialog box. Insert a macro sheet in the active workbook. Open a previously saved workbook. Opens the Find and Replace dialog box. Display the right click menu for a selected object. Insert a new sheet in the current workbook. Toggle auto-hide on or off for the ribbon. Opens the create names from selection window to create named ranges. Here are a variety of shortcuts for working with hyperlinks and comments. Insert a hyperlink in the active cell. Escape from editing a comment. Changes made to comments while editing are retained. Insert or Edit a comment in the active cell. Select all comments in the active worksheet. Open the hyperlink in the active cell. These shortcuts involve a combination of using the keyboard with the mouse. Cut and paste an object to another worksheet by dragging it to the sheet tabs in the lower left of the window. Copy an object (sheets, cells, ranges, tables, charts, pivot tables etc.) by holding Ctrl and dragging the object. Cut and insert an object. This will shift cells down or to the right. Add a non-adjacent cell to a selected range. Add an adjacent cell to a selected range. 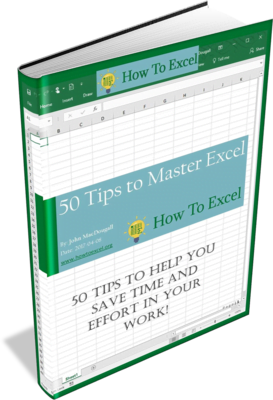 Close all open Excel workbooks by holding Shift then clicking on the X in the top righthand corner of the window. Drag the lower right corner of a cell or range using the left mouse button to copy and paste or use auto fill. Drag the lower right corner of a cell or range using the right mouse button to access advanced auto fill features. 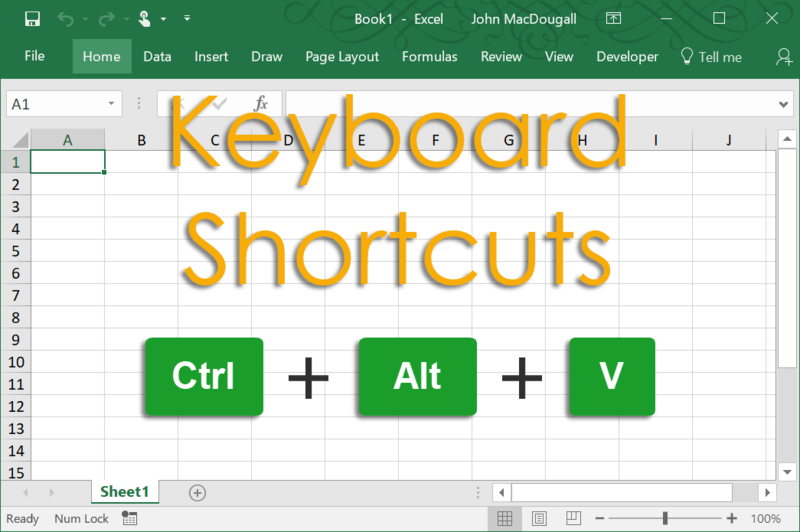 These shortcuts are for forcing Excel to (re)calculate formulas and can be very useful if your workbook is set to manual calculation mode. (Re)Calculates all sheets in the active workbook. (Re)Calculates the active sheet in the active workbook. Rebuilds all formula dependencies and (re)calculates all sheets in the active workbook. Relying on the mouse to move around your workbooks can be slow. Speed things up with these shortcuts. Moves the active cell in the worksheet one cell to the down. Moves the active cell down by default. The default can be changed to up, left, right or no movement..
Move focus to the next pane in a workbook. Moves the active cell in the worksheet to the left most visible cell in the worksheet within the same row. Moves the active cell in the worksheet one cell to the left. Moves the active cell cursor and screen one full page down. Moves the active cell cursor and screen one full page up. Moves the active cell in the worksheet one cell to the right. Moves the active cell in the worksheet one cell to the up. To move one full screen to the right in the worksheet. To move one full screen to the left in the worksheet. Scrolls to the active cell if it’s not in the visible window. Move to the lower most part of the current data region. Move to the lower right most used cell in the worksheet. Move to the upper left most cell in the worksheet. Move to the left most part of the current data region. Move to the next worksheet in the workbook. Move to the previous worksheet in the workbook. Move to the right most part of the current data region. 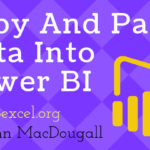 Switch between open Excel workbooks. Move to the upper most part of the current data region. Move focus to the previous pane in a workbook. 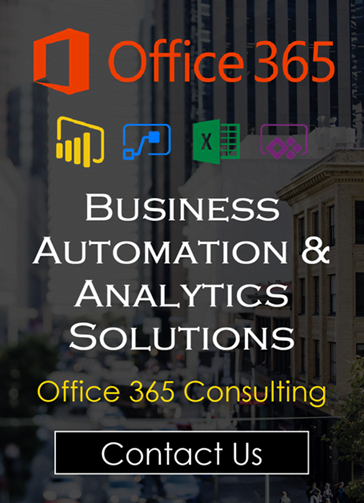 Switch between open Excel workbooks in reverse order. Use these shortcuts to move the active cell within your selected range. Moves the active cell down by default. The default can be changed to up, left, right or no movement. Moves the active cell to the right in the range. Moves the active cell to the next corner of the range in a clockwise fashion. This does not move to corners in non continuous ranges. Moves the active cell up to the previous cell in the range. Moves the active cell to the left in the range. A collection of other useful shortcuts. Opens the style dialog box. Toggle between show and hide objects in the workbook. Duplicate the formula from the cell directly above. Create a new blank workbook. Open the menu to open a saved workbook. Open the Print (Print Preview) menu for the current worksheet. Save the current workbook or open the Save As menu is the file has not previously been saved. Undo the last command or action. Enters the current date into the active cell. Enters the current time into the active cell. These shortcuts are for pivot tables. You can also use some of the shortcuts found in the Table and Filters section with the filters found in your pivot tables. Create a pivot chart in a new sheet based on the selected data. Create a pivot chart in the same sheet based on the selected data. Group selected items in the pivot table. Ungroup selected items in the pivot table. Hide the selected item in the pivot table (remove from filter). Opens the Insert Calculated Field dialog box (using + from top row). Shortcuts for selecting cells or ranges in your worksheet. Opens the Go To window to select a range or range name. Enters the extend selection mode. Press F8 again to exit the mode. Select the cells in a row that don’t match the formula or value in the active cell. Selects the entire column or columns of the selected range. Collapse the selected range to just the active cell in the range. Expands the selected range down. Enters the add selection mode. Press Shift + F8 again to exit the mode. Selects a range from the active cell to the start of the row. Expands the selected range left. Expands the selected range down one screen. Expands the selected range up one screen. Expands the selected range right. Selects the entire row or rows of the selected range. Expands the selected range up. Selects all data around the active cell. Expands the selected range to the bottom right most used cell in the worksheet. Expands the selected range to the top left most cell in the worksheet. Excel has a ton of special characters that can be accessed from Insert > Symbols in the ribbon. If you use some of these frequently, it’s worth remembering the shortcut for them. Hold Alt, type the number sequence and then release Alt. This is not even close to the complete list. Try any 4 number combination and see what it results in. A selection of shortcuts for working with tables and filters. Select the next item in the AutoFilter menu. Select the last item in the AutoFilter list. Select the first item in the AutoFilter list. Return to the main menu when in a submenu. Open submenu while on items with a submenu. Check or uncheck items in the AutoFilter list. Select the previous item in the AutoFilter menu. Display AutoFilter list when on column headings with filters. Close the AutoFilter list if it’s open. Clear all Filters from the table or filtered data range. Clear Filters from the column. Open AutoFilter menu to the search box. Open the Test Filter submenu for the selected column. Open the filter by colour submenu for the selected column. Sort Z to A in the selected column. Sort A to Z in the selected column. Open the sort by colour submenu for the selected column. Display AutoFilter list when in any cell of a table with filters. Refreshes the active filter so that changes made to the data is included in filter results. Toggle filters on or off in a table or range. Toggle the total row on or off in a table. Shortcuts to hide, unhide, delete and insert rows or columns in your worksheet. Hides the column(s) of the active cell or selected range. Toggle between show and hide outlines in the workbook (Data tab > Outline group). Hides the row(s) of the active cell or selected range. Delete row(s) based on the selected range. Insert row(s) based on the selected range. Only works with + in number keypad. Unhides rows in the selected range. Unhides columns in the selected range. Open Insert dialog box when range that isn’t a full row or column is selected, otherwise inserts the row or column selected. Only works with the + in the top row numbers.